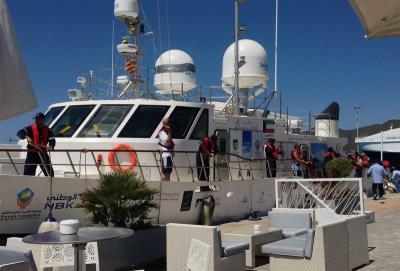 PALERMO, Sicily -- The Kuwaiti-flagged vessel "Journey of Hope" arrived in the Sicilian port capital Thursday as part of a world tour to raise awareness about the rights of the mentally disabled. The ship started from Kuwait months ago and last stopped in the French port of Toulon. It is due to be in Palermo until August 25, when it will weigh anchor for Athens. The Journey of Hope project was the idea of parents with children suffering from Down syndrome, autism and other cognitive disabilities, and has 16 passengers onboard. The boat will be stopping in 22 ports - including New York - in 19 countries over the course of 210 days. 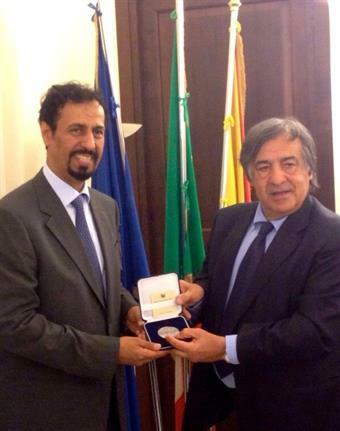 The Kuwaiti vessel was welcomed on Thursday by Palermo mayor Leoluca Orlando and Kuwait's ambassador to Italy, H.E. Sheikh Ali Khaled Al-Sabah. Arab representatives from the Palermo municipality immigrants council were also present. ''The relationship between Sicily with the Arab world is one of friendship and brotherhood,'' reiterated the Kuwaiti ambassador, ''as two countries linked by a shared history and values''. He went on to say that the idea to make the city the Mediterranean base for the project had arisen in a meeting with the mayor.